The Doughnut Chart is nearly the same as a Pie Chart. The only difference is that the middle section of the chart is removed. 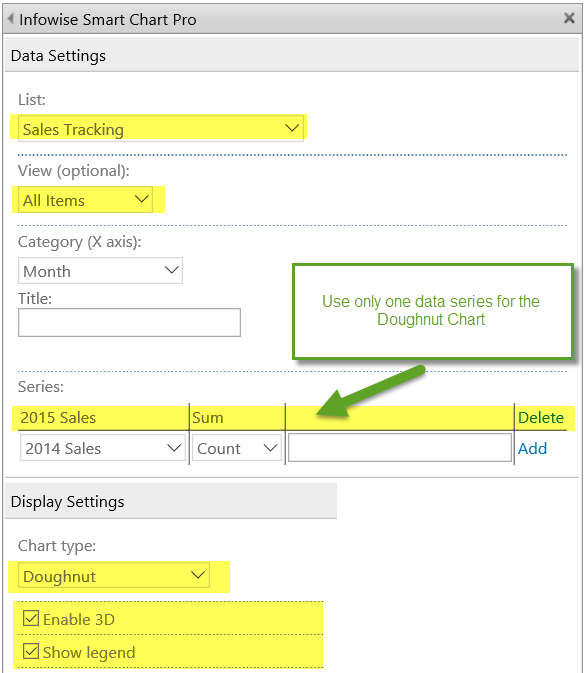 Use the same data set from the Column Chart example. Use only one data series for this type of chart. In this example, we use 2015 Sales. 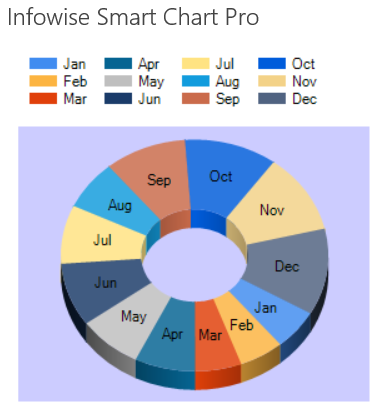 The Doughnut Chart is much the same as a Pie Chart but provides a slightly different look and feel. Be sure to use a single data series for this type of chart.